Home > Blog > Can Police Search Your Cellular Phone Without A Warrant? Can Police Search Your Cellular Phone Without A Warrant? The general rule is that law enforcement must obtain a search warrant to search the digital contents of someone’s cellular phone. In 2014, the U.S. Supreme Court issued an opinion in Riley v. California holding unanimously that a warrantless search and seizure of the digital contents of a person’s cellular phone during an arrest is unconstitutional. Prior to the Riley decision, police were legally able to search the digital contents without a warrant as a formality after executing a lawful arrest of a suspect so long as the suspect’s phone was within the immediate area of the suspect’s arrest. The digital contents of a suspect’s cellular phone has proven to yield evidence supporting further investigation or used to aid prosecution. For instance, text message content can reveal conversations about drug distribution between a buyer and seller or about dissuading a witness from testifying. But over the last decade, a cellular phones have been the storage of very personal data to someone. For example, private and sensitive photographs with significant others, or text message exchanges about personal medical issues. The Riley court noted that searching the digital contents of a cellular phone was the functional equivalent to law enforcement searching your cabinets, drawers, and personal effects within your own home. Additionally, not all suspect’s carry incriminating information within their cellular phone. The court noted that smart phone contents may contain inculpatory information but the data may contain nothing useful at all. Accordingly, under the Fourth Amendment, law enforcement must obtain a search warrant to search the digital contents of someone’s smart phone. However, there are exception to this general rule. Specifically, police need not obtain a warrant if a suspect consents to the search or law enforcement can justify the search claiming emergency circumstances – e.g., searching a smart phone to obtain the code to disarm a ticking bomb. 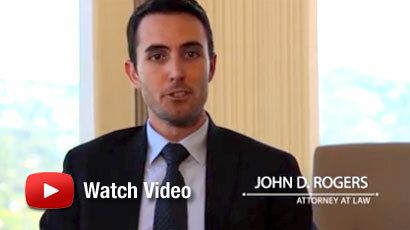 If you have been charged or are under investigation for a crime, contact an experienced Orange County criminal defense attorney at the Law Offices of John D. Rogers. 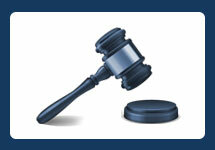 Call us today to schedule a free confidential consultation concerning your rights and defenses.